The Storage Drawers Mod is a visual storage system that varies in capacities. 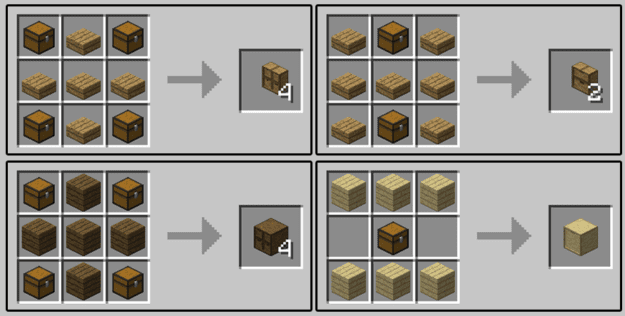 They range from holding 4 stacks per drawer up to 32 stacks per drawer with the ability to upgrade to larger storage without needing to destroy the drawer first or even empty its contents. The mod is also available for the latest patch of Minecraft 1.7.10 and Minecraft 1.8. So what are you waiting for, download this amazing mod today! 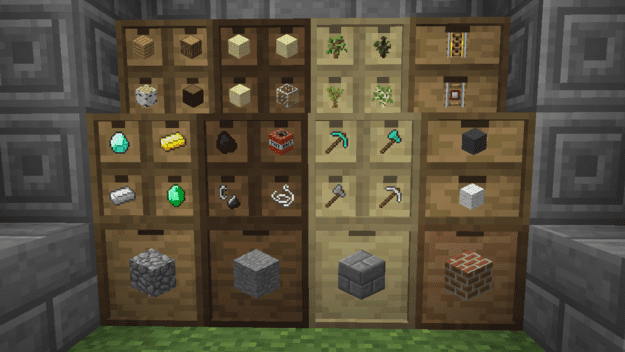 To use the mod, you first of all need to install the mod with the help of Storage Drawers Mod Then you can simply load up your latest Minecraft game and enjoy its features automatically. There is currently no public video showcase for the Storage Drawers Mod. The drawers work as simply as right-clicking an item or stack of items onto an available slot. The item will instantly appear on the outside, showing you what you’ve just placed. It’s definitely a quick inventory and storage system to streamline how you maintain your items. You can also either click to retrieve one item at a time from the drawers or shift+click to take the whole stack.